One of the benefits of the Second Vatican Council’s renewal of theology and the Church’s affirmation of modern methods of biblical interpretation is the demise of theological extrinsicism — that overemphasis on the supernatural in the Bible that sees its events as separated from normal human experience. Thus we are not to imagine that almost everything we read about the saints was miraculous and one-time-only, but that it was part of the life of the Church, not alien to the human condition. Thus we should consider even the conversion of St. Paul to be an experience that happens to other people, in spite of its very dramatic presentation in the New Testament. If we examine Paul’s coming to faith in this way, we can expect to learn much about our own spiritual life, our membership in the Body of Christ. In this study, we want to try to determine just what kind of experience it was that Paul had on his way to Damascus, and so we must note at the outset what has almost become a commonplace in Pauline study: Paul never converted from Judaism to some other religion. Paul was a Jew and remained a proud member of the tribe of Benjamin until his death, albeit a Jew who accepted Jesus as God’s predicted and long-awaited Jewish Messiah. Thus we shall not use the ambivalent word “conversion” to describe his life-changing moment but speak rather of the Damascus Event. The writer then makes an out-of-character excuse for Paul’s reprehensible actions against Christians “out of ignorance in my unbelief,” and thanks Christ for saving him from his grave sinfulness in persecuting the early Church. Next, we should look at the threefold iteration of the event as told in Acts, but we must remember that each telling of the story is a dramatization of it by a skilled evangelist (Luke) who spins the narration three different ways to enhance and further his own theological purposes. We cannot examine every important aspect of the three narratives in this short space, but we can see immediately that the story they render is no modern historical account of the event, simply because they contradict each other in important details. In Acts 9:3-19, it is the narrator who tells the story of how Paul, the avowed enemy of the early Church, came to belief and joined the Church through the agency of a Christian disciple called Ananias. 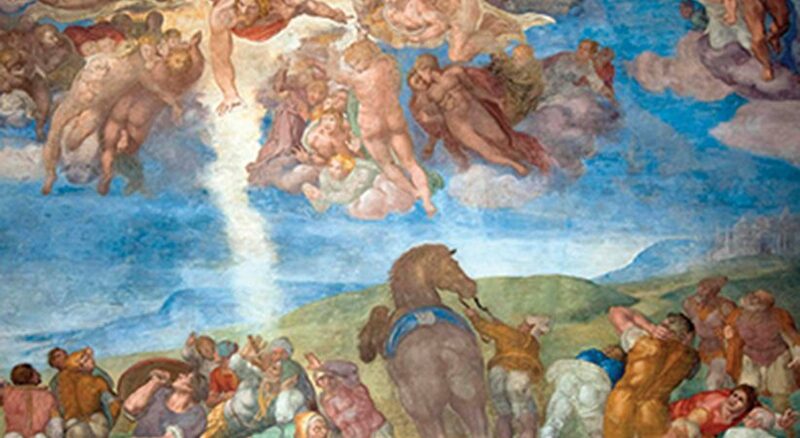 In this version, Paul is blinded by a flash of light and indicted by Jesus’ voice from heaven. His companions “heard the voice but saw no one,” and the narrator tells us that the Lord spoke to Ananias and identified Paul as “an instrument whom I have chosen to bring my name before Gentiles and kings and before the people of Israel.” The Lord then sends Ananias to lay hands on Paul to restore his sight and bring down the Holy Spirit upon him. Paul is then baptized and starts “at once to proclaim Jesus in the synagogues, that he is the Son of God” (Acts 9:20). We note that in this telling of the story Luke emphasizes Paul’s admission into the Church through one of its members who also had a vision from the Lord, and completely omits the long personal retreat Paul says he made “in Arabia” (Gal 1:17). In the second telling (Acts 22:6-21) Paul himself is the narrator who defends himself to the mob in Jerusalem that had tried to kill him. In this rendition, Paul adds a few details and notes that his companions saw the light but did not hear the voice, contradicting the narrator in the first account! Paul then spells out the Lord’s task for Paul not as told to Ananias by the Lord (as in Acts 9) but as told to Paul by Ananias, and quite a different message at that. “After the extraordinary event that occurred on the road to Damascus, Saul, who was zealous in his persecution of the nascent Church, was transformed into a tireless apostle of the Gospel of Jesus Christ. It is clear from what happened to this extraordinary evangelizer that his transformation was not the result of long inner reflection nor even the fruit of personal effort. It was first and foremost a work of the grace of God who acted in his own inscrutable ways. This explains why, in writing to the community of Corinth a few years after his conversion, St. Paul affirms: ‘… by the grace of God I am what I am, and his grace toward me was not in vain’ (1 Cor 15:10) …. “This transformation is founded on participation in the mystery of the death and resurrection of Jesus Christ and is described as a gradual process of conformation to him. In the light of this awareness, when St. Paul was subsequently called to defend the legitimacy of his apostolic vocation and of the Gospel he proclaimed, he was to say: ‘I have been crucified with Christ; it is no longer I who live, but Christ who lives in me; and the life I now live in the flesh I live by faith in the Son of God, who loved me and gave himself for me’ (Gal 2:20). Only later, Paul says, does he receive his mission to the Gentiles in a subsequent vision of the Lord after he had left Damascus and returned to Jerusalem. In the third telling of the story (Acts 26:12-18) Paul again is the narrator, speaking to the Jewish ruler Agrippa in the audience hall of the Roman governor Festus. This time Paul says that the voice from heaven commissioned him directly and not through the intermediary Ananias (who is not even mentioned in this telling). Interestingly, he adds that the voice spoke “in the Hebrew language” and loosely quotes a common Greek proverb. So all three of the stories’ renditions in Acts have different emphases and even contradict one another, though they probably have come from a Pauline source. We cannot choose which details are historical and which are not. Therefore, though we can appreciate the theology of Luke’s presentations, we should not rely on Acts to give us the insights we want on the nature of the experience itself. We should rather turn to Paul’s own words, sketchy as they are, to unpack the nature and significance of the Damascus Event for him. Remember, Paul refers to the Damascus Event only when defending or corroborating his apostolic authority, and he certainly does not address the subjective experience that it entailed. “Am I not an apostle? Have I not seen Jesus our Lord?” (1 Cor 9:1), and Christ “was raised on the third day …. Last of all … he appeared to me. For I am the least of the apostles” (1 Cor 15:4, 8-9). Here Paul is using the Septuagint’s way of referring to a vision of the Lord God, a theophany in which God’s communication (usually more auditory than visual!) reveals some part of God’s plan for saving Israel, e.g., God’s promise to Abram (see Gn 12:7); in the burning bush to Moses (Ex 3:2); to a barren woman that she would conceive (Jgs 13:3), to Solomon when he asked for discernment (1 Kgs 3:5). In 1 Corinthians, Paul is underlining the salvific importance of the resurrection appearances of Christ to the founders of the Church among whose number he counts himself. In his fuller narration of the Damascus Event in Galatians, he says, “God was pleased to reveal (apokalypsai) his Son to me (en emoi)” (Gal 1:15-16). He does not tell what the experience was like physically or emotionally, and there is no mention of Ananias or the Damascus Christian community, only that something unknown to him was “revealed in him.” He uses the language of being “set apart from my mother’s womb” to recall the vocation of the prophets (see Jer 1:4; Is 49:1) in his insistence that this was his vocation from God “to proclaim him [God’s Son] to the Gentiles” (see Gal 1:16; cf. 1 Cor 9:16). Thus we can only speculate on exactly what it was like “to have God’s Son revealed in me,” but we should not believe that the event was in any way alien to human experience, or that it did not have a thoroughly subjective element. So how should we imagine Paul’s great revelation? What could have made this powerful man turn completely around to accept Jesus as the awaited Messiah of the Jews? My own conclusion on this is that God used Paul’s experience of the love and generosity of the Christians whom he persecuted, the great freedom in their lives, to bring Paul by grace to faith. If Paul can say, “I live, no longer I, but Christ lives in me” (Gal 2:20), it is because he experienced this way of being first in the Christians he was persecuting! Their genuineness made him admit the emptiness of his own life and beg God for enlightenment on the truth about Christ in God’s plan. It was the community as the Body of Christ who provided the witness that God could use, and still uses today, to “reveal in me” the reality of salvation in Christ and the path we should follow to do God’s will. As a seminary professor involved in the formation and continuing education of priests for more than 40 years, I have seen that a person becomes a good priest precisely by encountering Christ in the faithful. Far from requiring extraordinary states of awareness, I believe that Christ is experienced in all of our encounters with other people who are acting with the “faith of Christ.” Unlike Paul, priests are not called to found the Church — that has already been done. 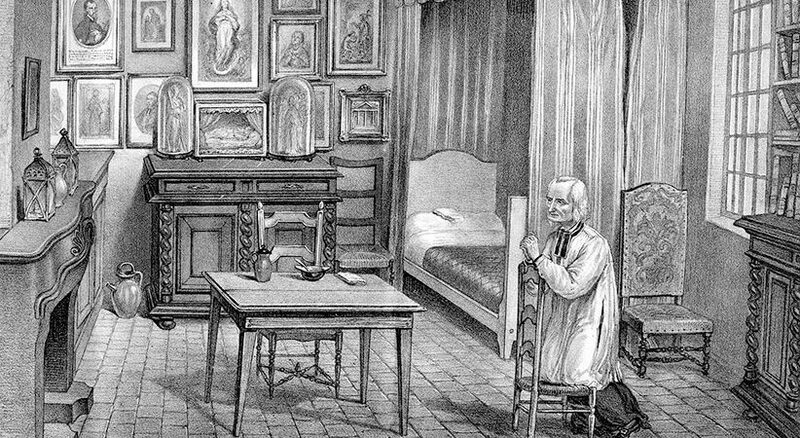 I do think, however, that priests have special access to Christ in the many privileged moments they may share with the faithful in their intimate spiritual encounters with Christ: at their marriage, the baptism of their children, the death of loved ones, moments of conversion inside and outside the confessional, in both words and deeds, and many times in their important decisions when they affirm their faith in consultation with their priest. 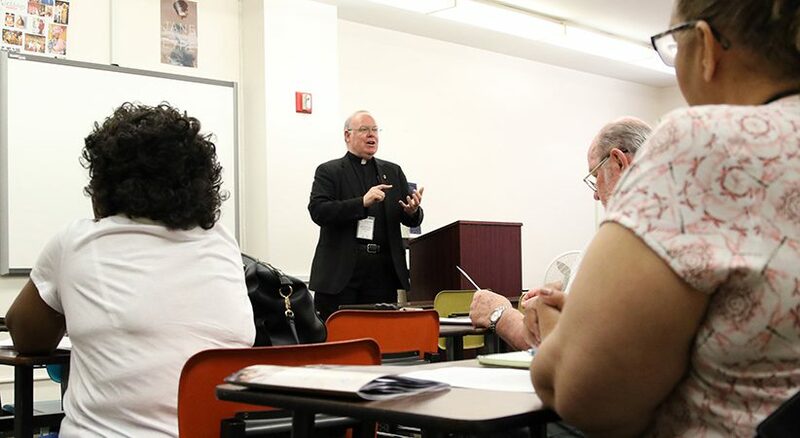 Brother Elliott C. Maloney, OSB, is a monk and professor of New Testament and biblical languages at St. Vincent Seminary in Latrobe, Pennsylvania.